Aiming to reunite the world, the help from generals is a must. The higher the quality of the general, the greater the strength. That is why you must quickly recruit all generals and increase the power of your nation. To recruit generals, select "Recruit" on the main interface. Every 8 hours, you will get one free recruit and have the opportunity to receive Blue, Yellow and Red equipments. 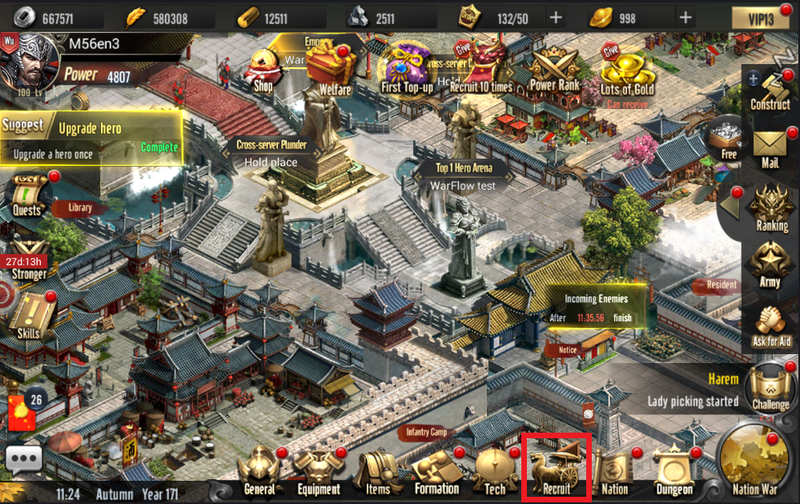 During CD, you can recruit by using 1000 Prestige or consuming 1 Normal Visit Order (also receive 10 Visit points). 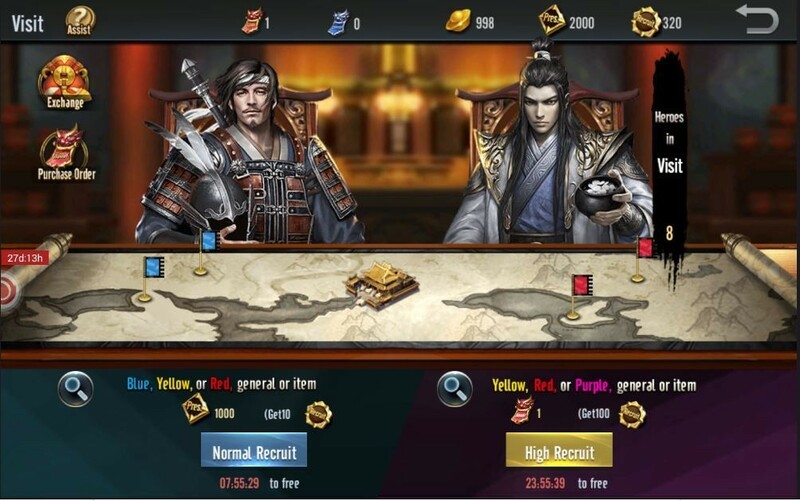 Every 24 hours, you will get one free High Recruit and have the opportunity to receive Yellow, Red, Purple equipments or generals. Each time “Recruit”, you consume 1 High Visit Order and receive 100 Visit points. Visit only gives heroes of your nation or neutral heroes. When an already owned hero appears, auto converted into hero souls.